On 3 October, 1853, Martial Roussel, a member of the Amiens Academy (Somme), applied for patent for additionneuse (adding machine). 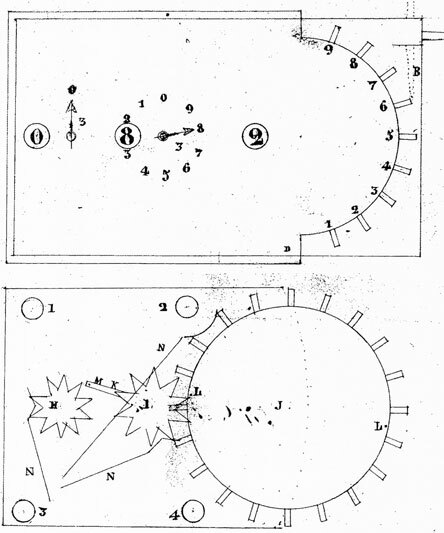 The French patent No. 17528 for 15 years was granted on 24 November, 1853. The adding machine of Martial Roussel was one of the early keyboard adders, after the machines of James White, Luigi Torchi, and Jean-Baptiste Schwilgué. In fact, in the patent of Roussel are described two keyboard adders, and the patent is completed in 1855, to describe an adder with a different input mechanism. 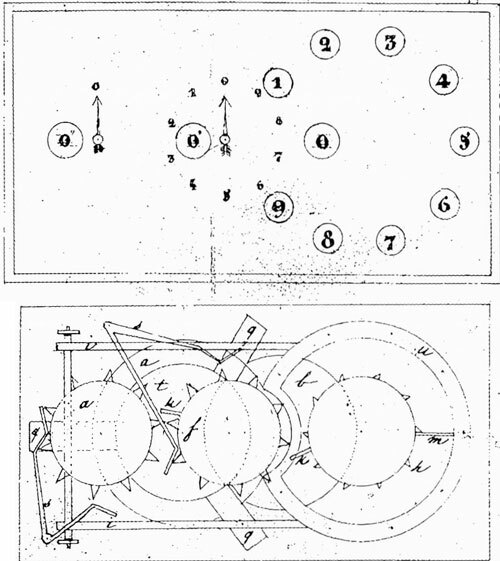 The first and second adding machine of Martial Roussel (see the lower patent drawing of the second device, described in the patent), were simple one-column keyboard adders with 3-positional result mechanism. In the device, described in the supplement of 1855 (see the lower patent drawing), the keyboard input mechanism was replaced with a big wheel with stick out teeth. Obviously, the adding machines of Roussel remained only on paper and were never used for real calculations. Who was the inventor—Martial Roussel? Martial Roussel was born on 1 July, 1803, in Amiens, a town in Somme department, Picardie region, northern France. We don't know anything about his childhood and education (he probably studied medicine), but obviously he got a good education, because in February 1830 he was appointed an archivist at Archives départementales de la Somme, located in Amiens, and several years later was promoted to the Director position. In November 1838 Roussel left the Archives, to accept the position of treasurer of Prisons of Somme. In August 1841 he was promoted to Director of Prisons of Somme, and succeeded in establishing new workshops for prisoners. From 1843 until his death in 1874 Roussel worked as secretary-coordinator of la Maison Cozette in Amien. 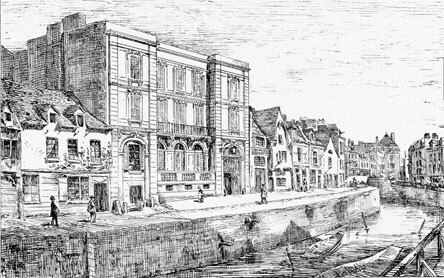 La Maison Cozette (see the lower picture from 1860), is a mansion in Amiens (still existing today), bequeathed to the city by his owner from Cozette family, to be used as a poorhouse. Roussel was an active titular member of the Amiens Academy (Académie des Sciences, Belles-Lettres, Arts, Agriculture et Commerce du Département de la Somme) since 1838 until his death in 1874. His interests were in the area of the contrivances of raising water (in 1837 he invented a machine for raising water), on the direction of aerostats (in 1843 he invented a system of propellers for aerostats), on atmospheric currents, on the improvements in watchmaking, on the vital principle, on the multiplicity of natural forces. He delivered many speeches and essays, for example, in April, 1865, he presented a speech (Historical and technological information on the clock of the belfry of Amiens), which was published in the 1866 Memoires de L'Academie. Martial Roussel was married to Flore Augustine Brocq. Martial Roussel died on 20 Mai 1874, in Amiens, and was buried in Cimetière de la Madeleine.